To weather that was not warm. It was still 29 degrees outside at lunch time. 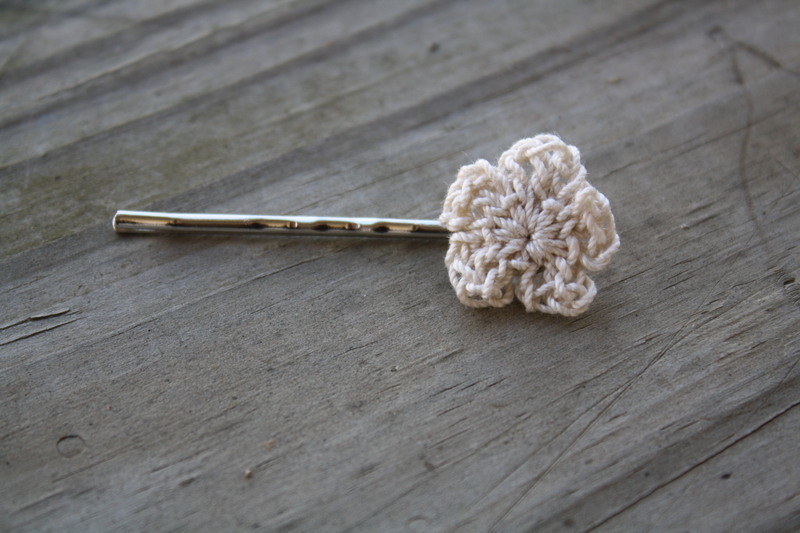 Today I was determined to take the pictures so I could open my Etsy shop. I’ve discovered through taking pictures for my sister that the best lighting can be found on our covered, north-facing front porch. And it was 29 degrees. I managed to take a few pictures before I couldn’t feel my fingers. You didn’t know I had one, did you? 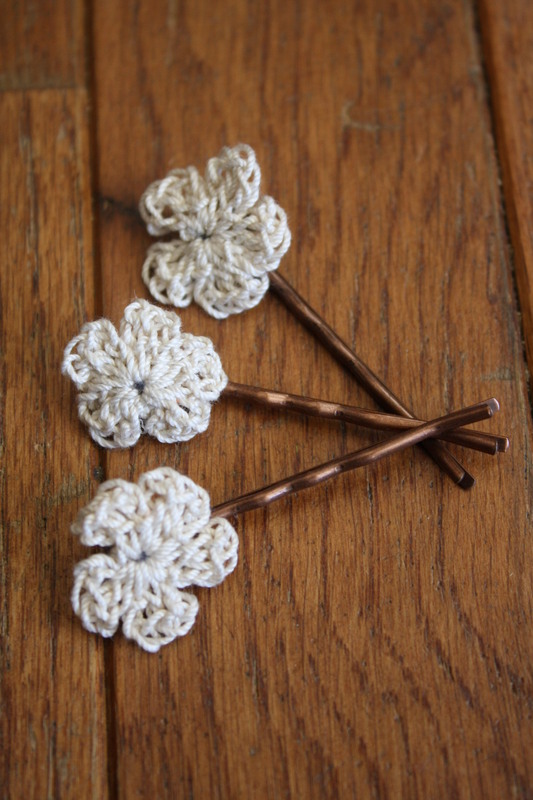 I love the look of these crocheted flowers. 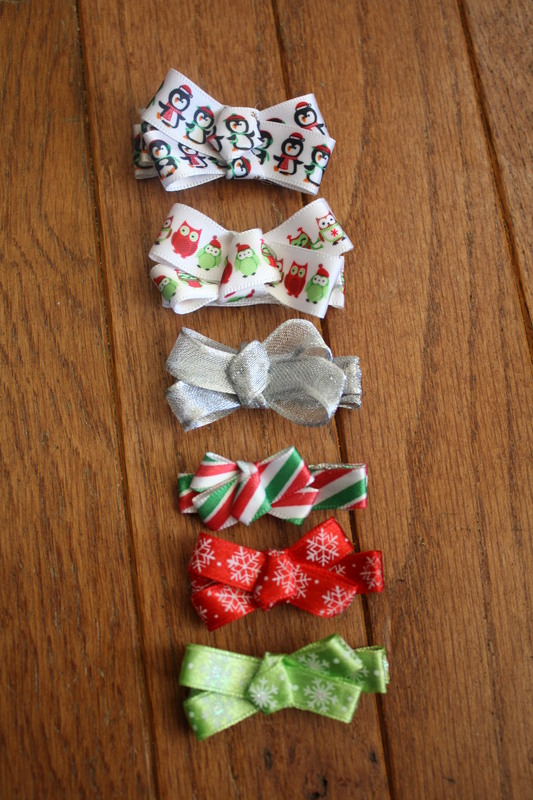 Christmas bows. I’m in love with the owls and penguins. Now that I’ve got those posted and available (so maybe I can get a little more craft space around here), I think I’ll go toast my feet by the wood stove and sort through some fabric! I’ve had this blog for awhile, I’ve even blogged on it, I’ve just never published anything. I have some bizarre form of craft ADD where I cannot only work on one thing. I have to work on approximately 239480984. That generally leaves me with a whole lot of clutter that I haven’t finished, a large quantity of craft supplies, and quite a bit of the finished product. What it doesn’t leave me with is a lot of room. I’m not an organized individual. I can be, about certain little things, but not about big things. Also, my craft addiction is eating my budget out of house and home. So to aid in possibly getting some of this out of my house, and possibly help with funding my hobbies, I’ve created an Etsy account. 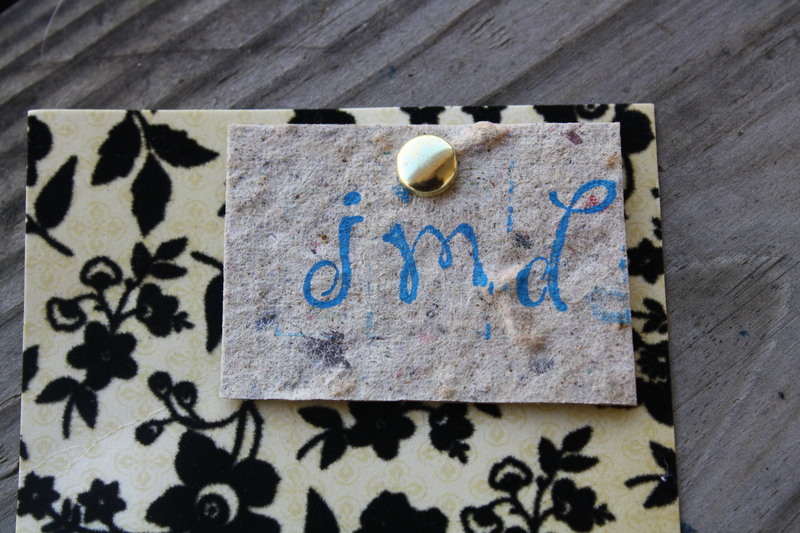 I craft in spurts and very seldom do I create two things alike, so there’s no telling what you’ll find here or there. I’m fascinated by tutorials so I hope to make a few myself, while also occasionally showcasing my favorite pinterest finds.